Barbecued spatchcock chicken is the ultimate summer treat. Brining the chicken beforehand will ensure the meat is packed with flavour, while a side serving of coleslaw just adds to the fun. 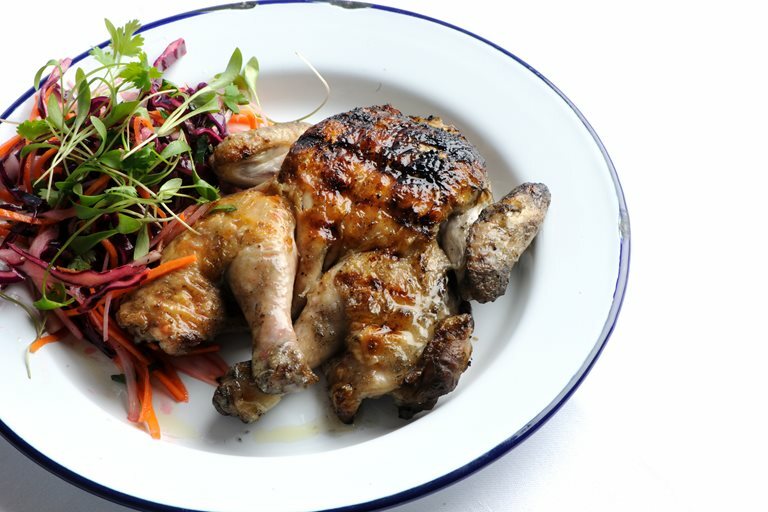 Buy a good quality bird for this sublime barbecued chicken recipe from Josh Eggleton. If you've never made a brine before, follow Josh's handy video guide for full instructions and ingredients. Toss all the ingredients together in a bowl and add salt, pepper, olive oil and lemon juice. Leave to souse for 3 or 4 minutes.